Bust out the pickaxes and dynamite, we’re looking for gold in ‘dem ‘der hills. 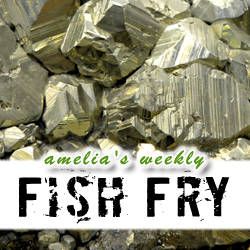 Xerxes Wania (CEO – Sidense) joins Fish Fry this week to dig into the treasure trove of issues found deep in the semiconductor and EDA industries today. Xerxes and I scour the land for faults and break out our trusty gold pans to find the answers… and it ain’t pretty my friends. Also this week, I delve into a brand new world of inductance-to-digital converters that will revolutionize position and rotation sensing in our IoT designs.